The Book of Acts Pamphlet is not simply ancient history. It is our story, the story that informs who Christians are. It’s the story of the early church, early missionary work, and the initial move of the Holy Spirit. It covers the lives of Peter, Paul, Barnabas, Silas and the other Christians who took the Gospel far beyond Jerusalem. This Book of Acts Bible Study Pamphlet shows that God is active. He was active in the book of Acts, and He is active in our lives today. 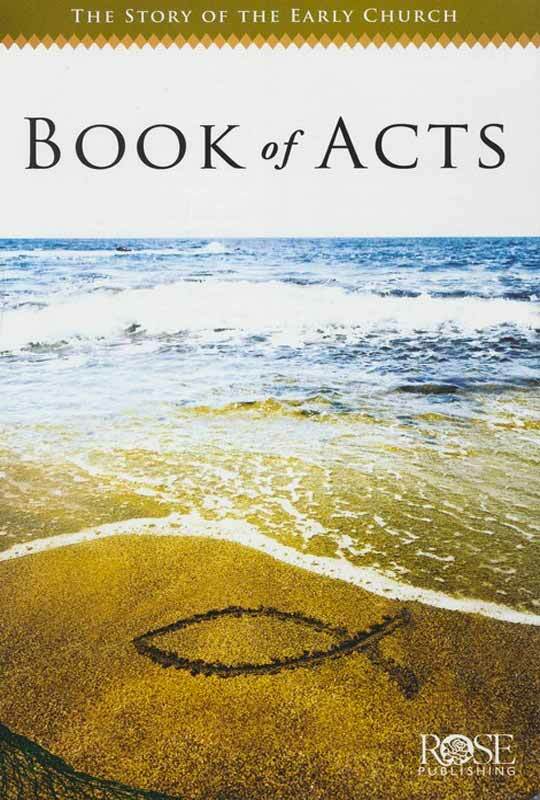 Navigate deeper into the Acts of the apostles with Rose Publishing’s 14-page Bible study resource, The Book of Acts. This fantastic Bible study pamphlet provides loads of information at a glance. Enjoy simple summaries, Bible charts, biblical map, and other visual resources that make learning about the early church and early missions movement easier than ever before. It’s perfect for adult Bible studies, Sunday school lessons, and small group curriculum.